Site design graphics (header, background, etc.) and site navigation that will carry over on all secondary pages. If a unique design or layout is requested on secondary pages, additional charges may apply. Creation of homepage and one additional free page*. For artists, this could be a simple page such as their “Contact Me” page. For small businesses, this could be their “About Us” page. Contact information and copyright information will be included at the bottom of each page, if applicable. Meta tags for search engine visibility (SEO) will be included in the code, as well as relevant content on all pages providing customer provides text with relevant content (I can assist with SEO content writing for an additional fee and will provide you with some basic tips as part of the package). Installation of the core WordPress software, the framework and customized child theme, and your website’s files on your hosting company’s server, as well as setup any basic plug-ins such as those for Security, SEO, Spam blocking, Backups, Statistics monitoring, etc. Site will be tested in current versions of Mozilla Firefox, Chrome, Internet Explorer and Safari browsers. I request that you update your browser(s) to the most current version offered as I design my sites to meet the standards that comply with the latest browser versions and cannot provide code variations to accommodate older browser versions. Please do not use AOL’s browser. Once site has been uploaded, any errors will be corrected. Any additional requested changes at that point will incur extra charges. Site will be submitted to several top search engines, including Google, Yahoo and Bing. I’ll provide you with a customized illustrated Reference Guide in PDF format (that has received rave reviews!) as well as 60 minutes of my time (either via phone or email, or a combination of both) usable within the first 30 days of completion of site. Additional website pages are priced “a la carte” and the price varies depending on complexity, beginning at just $50 per page. Simple pages such as Biography, About Us, Contact, Directions, etc., typically fall into that price range. 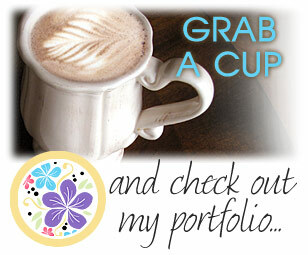 For artists/crafters, gallery/portfolio pages are priced differently because of their complexity. Pricing is based on layout, style, functionality, and number of images displayed. Adding other functionality such as forms, password protection, members-only sections, etc., can be discussed and would incur an additional charge depending on complexity. All options will be clearly discussed prior to the cost estimate. I’m very sensitive to all of my customer’s budgets. If you are in need of a web presence but have a very limited budget, I can work with you to get you up and running with a basic but pleasing site. We won’t spend a lot of time on the design and revisions as I would on the packages above. Perhaps you already know exactly what images and font you want to use in the header. If not, I’ll design something attractive and there will be very limited tweaks allowed to it. Let’s discuss your needs and budget, and I’m sure we can get you online, even with just a basic homepage to start! Ecommerce incurs an additional fee depending on complexity and requirements. Adding simple PayPal buttons as well as more robust shopping carts requires intensive testing, and making sure things are set up properly on the PayPal side, creating “thank you” and “are you sure you meant to cancel your order” screens. Ecommerce doesn’t have to be complicated, but it does take time. Again, I am very sensitive to customer budgets, so we’ll discuss the best options for you. Can’t figure something out on your WordPress site? Don’t make yourself crazy. If I build your site, I really don’t mind the occasional question that I can answer quickly. For FREE. Really. But I do have to charge for my time for extensive questions, and requests for updates and enhancements will be charged at my hourly rate. I’m fast, and have been told countless times I’m too cheap! Take advantage! Update your sites! Curious how the process works? Have questions? Please see my FAQ or contact me for a copy of my New Customer Website Design Questionnaire and a cost estimate!